Roscoe Rules (Tim McIntire) is exactly the kind of cop you don't want on the job. When he's not getting drunk after hours, he is insulting the citizens he supposedly serves. And his cop buddies are no better, from the always-angry Sam (Don Stroud) to the geeky Harold (James Woods), who constantly makes questionable busts of prostitutes. When a member of the group mistakenly shoots a gay man in a park while the gang is out carousing, everyone closes ranks to cover up the crime. 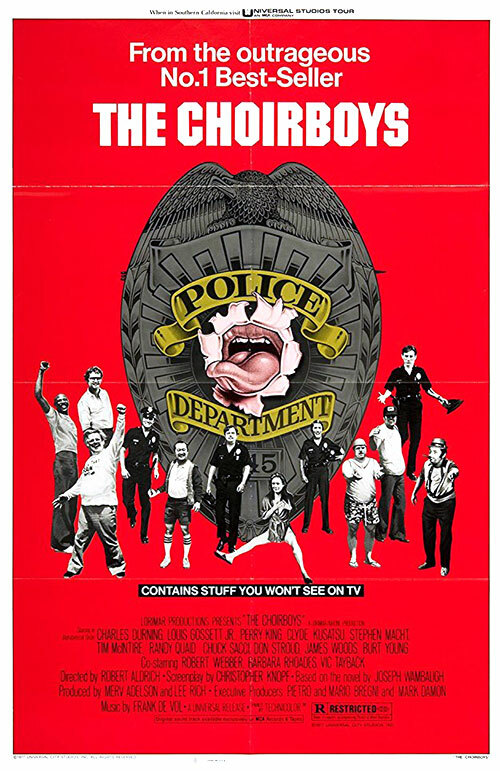 0 Response to "The Choirboys (1977) Robert Aldrich"